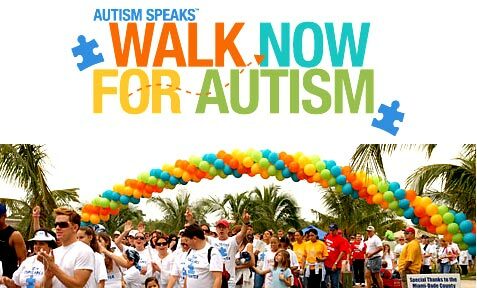 Join Autism Speaks as we walk to change the future for all who struggle with autism! Walk Now for Autism Speaks is a fun-filled, family friendly event and is our single most powerful force to fund vital research that will lead us to the answers we need. Experience the power of thousands united by a single cause by joining Walk Now for Autism Speaks. Autism is the fastest-growing serious developmental disorder – we need more volunteers to join our fight. Whether this is your first walk or the 10th, take the first step and register today. Every 20 minutes, another family receives the devastating news that their child has autism. Help us change that! Start fundraising today. Whether you strive to join our new "Grand Club" (walkers that raise $1,000 or more) or sell lemonade to boost your total, you become a piece of the puzzle! Don’t wait another minute - start a corporate, school or family team today!